4. Run the project and you can see the project layout is already integrated with Bootstrap and the default bootstrap theme is applied. 6. Try changing the theme in Bundle.config to Slate (we’ve downloaded earlier) and see how easy it is to apply different themes. 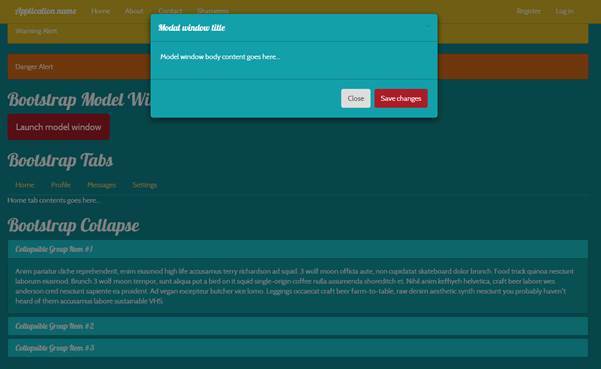 Also try modifying the downloaded CSS files to get familiar with bootstrap theming concepts. Run the project to see Grid system in action. Try resizing the page to see how Grid response to the viewport size accordingly. 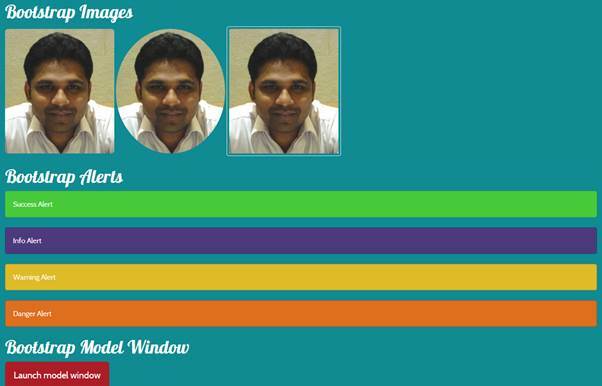 Bootstrap also provides responsive images that resizes automatically according to the viewport size. Check their official site http://getbootstrap.com/css/#overview-responsive-images for more details. Click on Launch Model Window button to open the model window. 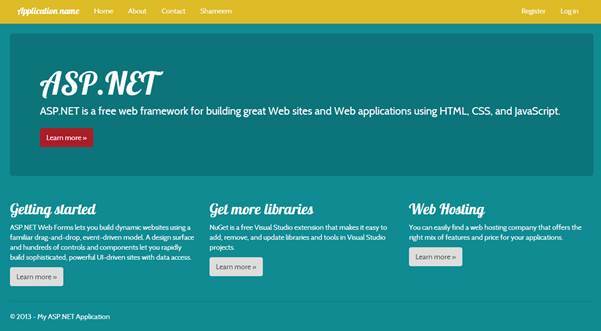 Bootstrap is one of the powerful front-end UI framework and is the most popular project on GitHub and has been used by NASA and MSNBC among others. It’s also one of the sought after skills for web developers. 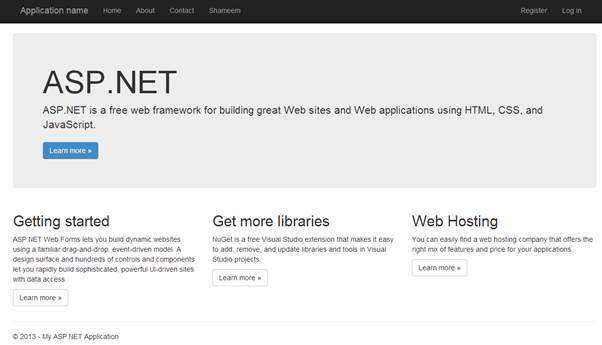 Learning Bootstrap is easy and now that Visual Studio 2013 integrates it officially into their ASP.NET web applications .Net developers should adapt to Bootstrap and try to master the framework.